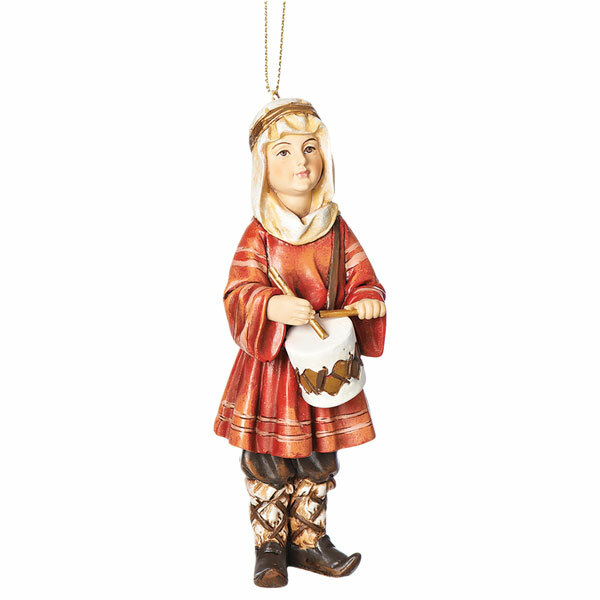 Lovingly detailed ornament tells an inspiring story of a boy who brought his own best gift to the Christ Child: the music he played on his drum. Hand-painted resin, ready to hang from your tree. 5" high.